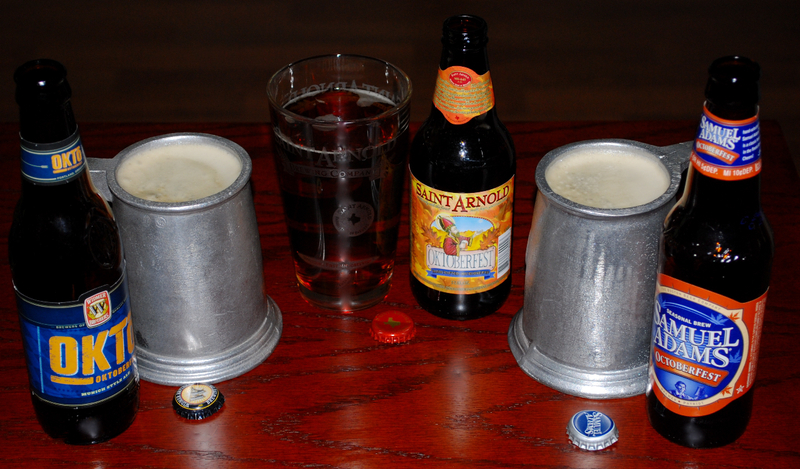 It is Fall and what better way to celebrate this time of year than with a seasonal beer – Oktoberfest! Oktoberfest is a full bodied, malty, slightly sweet beer celebrating the Autumn harvest. This rich beer has a round malt flavor and an above average alcohol content perfect for a cool fall evening. An Oktoberfest style beer is best consumed at 40° Fahrenheit. Even though this beer is seasonal, some of you can get some brands year around and my husband does drink this style of beer year around! Try some of my favorites that are American and German or select the kind(s) that are available where you live. Have some friends over, try a few and see which one is your favorite! Prosit! 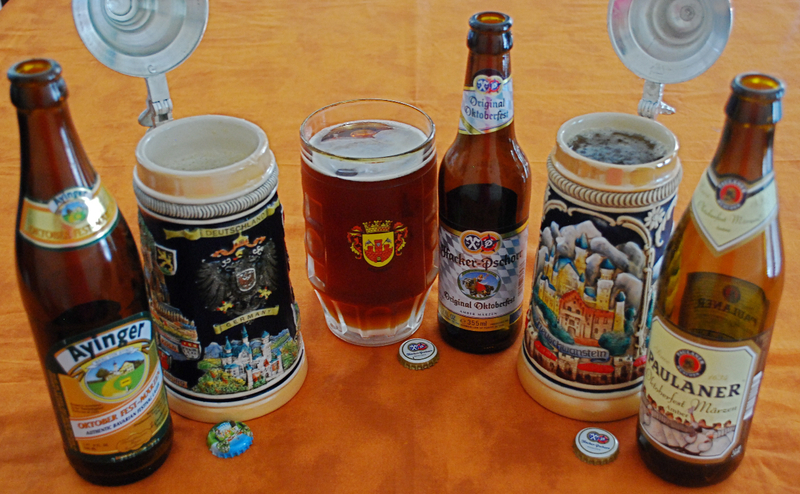 Featured are three versions of an American Oktoberfest Style Beers starting on the East coast and ending up on the West coast; Samuel Adams® Octoberfest (Boston, MA), Saint Arnold® Oktoberfest (Houston, TX) and Widmer Brothers® OKTO Oktoberfest Munich Style Ale (Portland, OR). Each has its own unique flavor, but in my opinion maintains the traditional flavor and color of an Oktoberfest. The three German versions featured are my husband’s absolute favorites and are Ayinger Oktober Fest-Märzen, Hacker-Pschorr Original Oktoberfest Amber Märzen and Paulaner Oktoberfest Märzen German Amber.